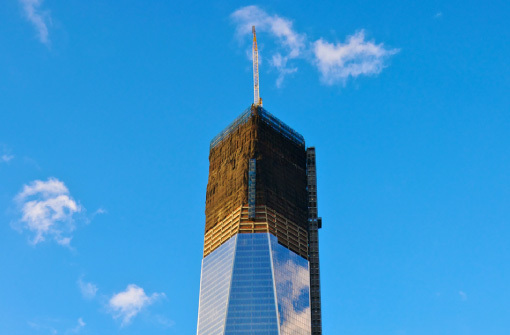 One World Trade Center - Custom Engineering Projects | Thern, Inc.
To aid in the construction of the One World Trade Center, a Thern high-speed electric winch was utilized. In America today, perhaps there is no greater symbol of our nation’s resilience than the towering One World Trade Center located in Manhattan. 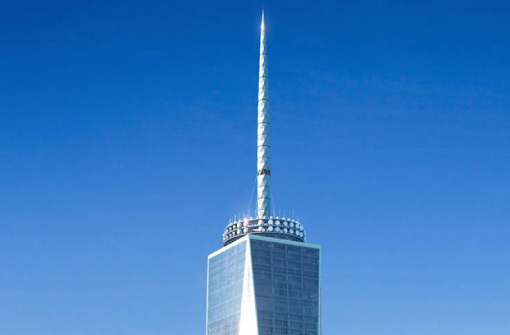 Rising to a total height of 1,776 feet with spire, it is the tallest building in the United States. 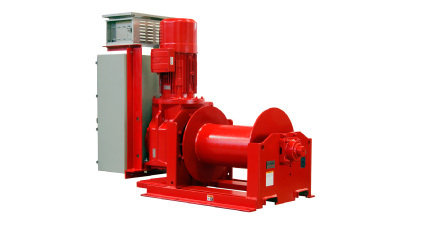 To aid in lifting building materials and elevator installation during construction, the contractor turned to Thern for a high-speed electric winch capable of handling the non-standard lift heights. Rising to the occasion, Thern built a special 4HPF25M-S17 winch that included a sophisticated variable speed control package along with a drum able to hold the extra length of wire rope required.